I'd say I don't remember the last time I read a young-adult book, only I do. Just the other day: The Fault in Our Stars by John Green. 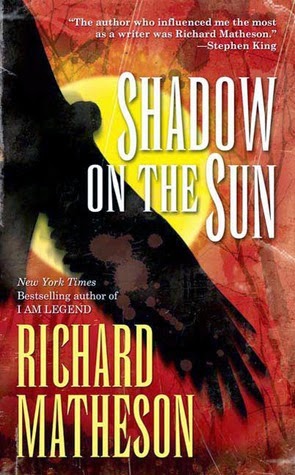 I liked it, maybe a little more than I'd expected, enough to read in one sitting. So I read a book by an author who so often gets mentioned in the same breath as John Green. 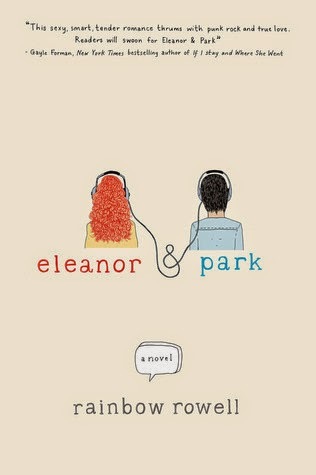 Eleanor & Park by Rainbow Rowell is another YA book that comes highly recommended. And this, I loved! Summary: (from Amazon) Eleanor is the new girl in town, and she's never felt more alone. All mismatched clothes, mad red hair and chaotic home life, she couldn't stick out more if she tried. Then she takes the seat on the bus next to Park. Quiet, careful and, in Eleanor's eyes, impossibly cool, Park's worked out that flying under the radar is the best way to get by. Slowly, steadily, through late-night conversations and an ever-growing stack of mix tapes, Eleanor and Park fall in love. Set over the course of one school year in 1986, this is the story of two star-crossed misfits: smart enough to know that first love almost never lasts, but brave and desperate enough to try. Rating: 3.5/5 - I only do ratings when the review is kind of a rant, and doesn't really make it clear just how exactly much I liked the book. My thoughts: The story is so cheesy. I know: it's got two misfits falling in love over a bunch of 80's songs, which they can't help quoting from every three seconds. There's a lot of gooey dialogue that made me roll my eyes for being just so... teen. Of course, my teenage years were some of the most ridiculous times of my life, where I did and said the craziest things and had high school smack me in the face a lot, so there were times when I felt the characters in the book just needed to grow up, already. All their immaturities and insecurities are frustrating and maudlin. But then that's the point, Eleanor & Park captures exactly what it is to be a teenager. Illogical and overloaded on touchy-feelies; even the smart kid sometimes thinks the stupidest things, the usually no-nonsense girl acts all silly around the boy she likes, even the biggest bully can abruptly turn nice. Anyone who asks for explanations has forgotten what it's like to be sixteen. Eleanor's real problems - her creepy step-dad, her abused careless mother, her must-wear-mens'-clothes poverty - and Park's troubles with his dad, who finds him too girly, are frequently taken somewhat casually. But it was this subtlety that I actually liked, the writer has this almost lighthearted way of dealing with and writing about big issues. I mean all the concerns stared me right in face. But I felt like Eleanor was doing the best she could when she sneaked out to meet Park in the middle of the night risking so much, because if it's ever justified to do something shallow, it's when you're a smitten sixteen-year old. I didn't expect Park to understand Eleanor's broken family or realize the extent of her troubles, because to him family meant something simpler; he had parents who were completely in love with other. Making rash decisions, not giving every action a thought is what kept them innocent teenagers, and Rowell lets them live in their little bubble, if only for a while. This makes their breakthrough moments even sweeter. A well written book manages to be dead serious without monologues of philosophizing. I think Rowell pulls it off. 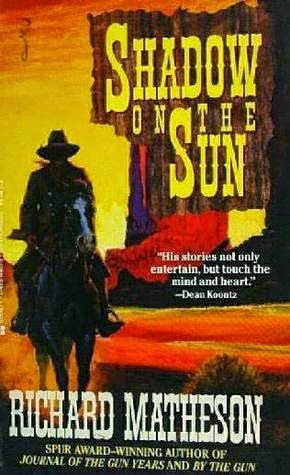 The sentences are crisp, the dialogue snippy and the narration flits between Park and Eleanor. There are times when the point of view changes thrice on the same page, which is distracting and a little lazy, not much effort goes into seamlessly moving from scene to scene. Rowell does have an eye for detail and is a good describer, but she is awfully repetitive. (Red hair, red hair, freckles, big, Eleanor = not conventionally pretty.) It's a YA novel and probably couldn't resist its few typical gimmicks. Basically, I suppose it's no great work of literature (although, what is?, really) but it's a charming book. Worth a shot, at least. When Eleanor was a little girl, she'd thought her mom looked like a queen, like the star of some fairy tale. Not a princess – princesses are just pretty. Eleanor's mother was beautiful. She was tall and stately, with broad shoulders and an elegant waist. All of her bones seemed more purposeful than other people's. Like they weren't just there to hold her up, they were there to make a point. Eleanor looked a lot like her. But not enough. Eleanor looked like her mother through a fish tank. Rounder and softer. Slurred. Where her mother was statuesque, Eleanor was heavy. Where her mother was finely drawn, Eleanor was smudged. But Park didn't have any luck – or status – to spare on that dumb redhead. He had just enough to keep himself out of trouble. And he knew it was crappy, but he was kind of grateful that people like that girl existed. Because people like Steve and Mikey and Tina existed, too, and they needed to be fed. If it wasn't that redhead, it was going to be somebody else. And if it wasn't somebody else, it was going to be Park. P.S. Here's a link to John Green's review of Eleanor & Park. Interesting, huh? Do you read any author reviews of books? I only trust recommendations that I find on Neil Gaiman's blog. I read a lot these days, putting all my spare time into it. What I need to catch up on is my reviews. This is an interesting book I read the other day that I'd highly recommend to mythology and language buffs. I mean, look at the cover, wouldn't you like to know where all those words came from? I had a couple of hours to kill at the university the other day, so I wandered into the Mythology and Religion section of the library, which these days has turned into a default response to free time. A slim book caught my eye, Words from the Myths by Isaac Asimov. The book is just what the title says, an account of Greek (and Roman) myths and the many words coined from them. The book begins at the beginning, with the first thing that ever came into existence, which the Greeks called Chaos. From the void came the deities, like Gaia (Roman Gaea) and Ouranos (Roman Uranus.) Their children were the Titans. Kronos, the most powerful Titan, revolted against and drove away Uranus. The Titans were followed by the Olympians, when Zeus tricked his father Cronus, defeated the Titans and imprisoned then. The book then retells the stories of demigods and monsters, the tales of men and heroes and lastly, the legend of the siege of Troy. It's a simple but detailed account, nice for those not familiar with the myths and not too long to bore those who already are. Asimov spends a long time listing all the planets and stars named after the Greek mythical beings, but since I'm no expert in astronomy, I could only comment that I found it interesting. What I really liked were the little bits of information, from the obvious like all geo- words being derived from Gaea, to the fact that there is an atlas bone in our body, which is aptly the one our head rests on. Eos, sister of Hyperion and goddess of dawn, gave us the word 'east.' The Roman god of sleep was called Somnus, as in somnabulist, and his son was the god of dreams, Morpheus, as in morphine. Pan was a son of Hermes, and had hindquarters, legs, ears and horns of a goat. The Roman equivalent of Pan, the spirit of nature, was Faunus, who gave us both 'fauna' and 'faun.' Pomona was the Roman goddess of fruit trees, which is where pomegranate comes from, as does Pomona Sprout! In the chapter about the siege of Troy, which obviously was my favourite part, Asimov retold the Iliad myth, pausing to name the many phrases derived from it. I was thrilled, because the only one I ever knew was "Achilles heel." But I did have a feeling that some of them were a bit stilted. Tell me if you've seen any of these used, "the apple of discord," "to sulk like Achilles in his tent," "I fear the Greeks, even when they come bearing gifts." Other phrases not related to the Troy myth that Asimov mentioned included "to cut the Gordian knot" from a story of Alexander the Great, "to throw a sop to Cerberus" inspired from the three-headed dog guarding hell. Asimov has also written the book Words from History. I can't wait to get my hands on that!